Remote work has become a great asset to multiple startups, propelled further by an ever expanding set of online tools to help boost productivity and communication between distributed teams. 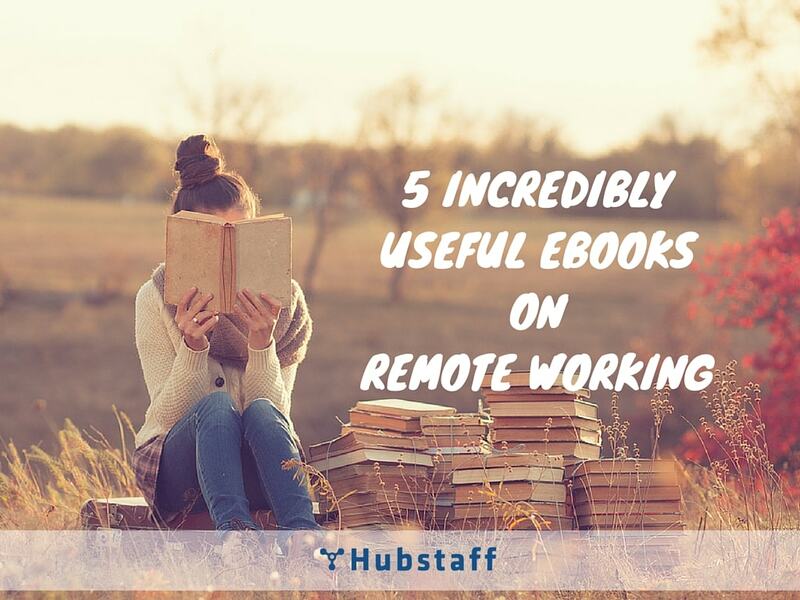 If you are part of a remote team, or thinking about starting one, these useful ebooks will provide an excellent resource to help you optimize your remote working setup. After years of remote working, we understand just how many good books there are on the topic. Hubstaff’s 100% virtual team found a lot of useful takeaways from these books, so we decided to round up our top five picks and share them with you. Hope you get something great out of them! This is an ultimate guide in every sense of the word. Zapier gives us 13 insightful chapters and a 14th that includes their acknowledgements with even more awesome resources. 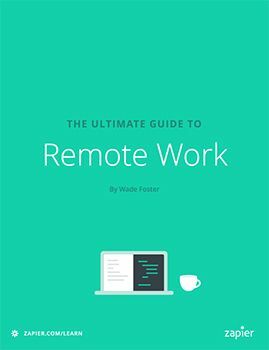 The book covers everything you need to know about remote working. Readers can gain insights on cultivating culture across borders (and timezones), how to work faster, and optimizing your work environment for productivity. The book began as a series of posts on their blog, and is an ongoing effort to record their experiences as a remote team. It shares both the successes and failures of their experience, providing raw details about the true challenges and rewards of distributed teams. An awesome excerpt: Teamwork is great. But, if you’re working with a time shift, you’ll need to pull your own weight on the team and lead your own way. If you’re always waiting for someone to tell you what to do next, and that someone’s asleep while you’re working, you’ll never get anything done. That’s why the most crucial part of building a remote team is hiring self-directed workers—”managers of one,” as the Basecamp team calls them in their book Rework. This ebook is no-nonsense, giving a list of common concerns with remote teams and their actionable solutions right at the beginning. Each section contains strategies that make it crystal clear how you can run your remote teams, providing management flowcharts, strategic questions to ask yourself, and communication templates/examples. Hubstaff Co-Founder Dave Nevogt has more than 12 years of experience building and managing remote teams, which means he’s been around the block when it comes to remote working. 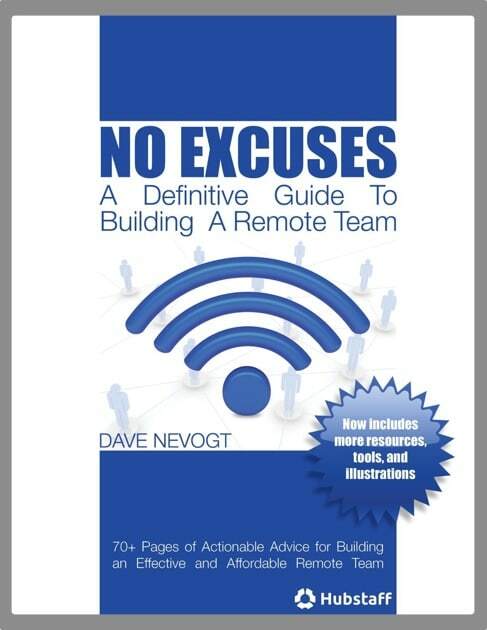 This ebook covers the different strategies Dave used to build three multi-million dollar businesses with remote teams. Make it abundantly clear that you make yourself available for questions, and live up to it. Dave started Hubstaff as a tool to better manage remote workers with intuitive time tracking, insightful reporting, useful productivity monitoring and plenty of innovative features that will help propel your distributed team’s productivity. When you’re learning anything, hearing from experts is absolute gold. And DRiVE (which stands for “distributed remote innovative virtual enterprises”) is full of this kind of information. Remote Work Hub interviewed the founders and employees of 30 remote-friendly organizations to gain insight into how and why they work. With insights from highly successful companies like You Need a Budget, WP Curve, Zapier, GitHub, Meet Edgar, and Jungle Scout, DRiVE lets you see behind the scenes of some of the best places to work remotely today. found this particularly interesting, considering most traditional employers resist virtual operations thinking they can’t trust employees they can’t see. We’re delighted to say some of the world’s most successful companies are operating virtually, without watching over the shoulders of their staff. And as you’ll discover in the pages that follow, it largely comes down to hiring the right people. 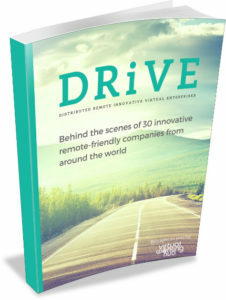 REMOTE was written by Jason Fried and David Heinemeier Hansson, the founders of 37 Signals, which brought the world Basecamp. Basecamp is a leading project management tool that provides remote teams with great collaboration infrastructure, including discussion threads, file organization, to-do lists, text notes, a built in calendar and more. They began their work in the industry in 1999, and have since grown to a company spread out across 26 different cities around the world. Employers and employees who limit their searches geographically also limit themselves, often losing out on working with the best professional/company possible. 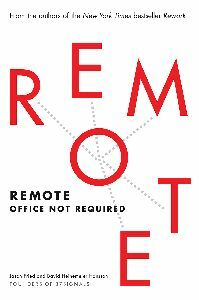 That is the idea that drove this bestselling book on the merit of remote working. This book provides a great example of how a virtual workforce is born. 37Signals is one of the pioneers of distributed teams, and this book comes with a wealth of experience and industry authority behind it. It shows employers and employees exactly how they can collaborate effectively from any place, anytime. An awesome excerpt: It’s a lot harder to fake your way as a remote worker. As the opportunities to schmooze in the office decrease, the focus on the work itself increases. Additionally, central online repositories for tracking tasks and reporting progress, like Basecamp, create an irrefutable paper trail showing what everyone is getting done and how long it’s taking. This gives back the edge to quiet-but-productive workers who often lose out in a traditional office environment. In a remote setup, you don’t need to constantly boast about the quality of your stuff when it’s already apparent to everyone willing to pay attention. Likewise, if you’re all talk and no walk, it’s painfully clear for all to see. Wrike’s ebook was born from an independent survey on remote working with more than 1,000 international respondents from startups to Fortune 500 companies. 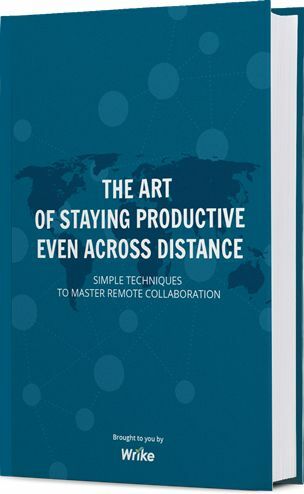 It provides compelling reasons for mastering remote collaboration, and simple techniques on how to do it. This ebook has statistics that can change the way you think about telecommuting. For example, 41% of the survey respondents said they work remotely because it saves time and 29% said it increases productivity. The survey also reveals what sacrifices employees would make to work remotely, major difficulties, and how many people are already working from home. An awesome excerpt: Keep in mind to always leave place for some fun. After all, it’s one of the main reasons we do what we do, isn’t it? 🙂 For example, employees of Volvo IT, an organization with a global staff of more than 60,000 people, would order food delivery to an office in another country, and this would bring up a short, impromptu party. By the way, in our survey, a good mood was ranked as the No. 2 efficiency trigger, after a sense of responsibility. So giving your virtual workers a reason to smile might pay back. Hubstaff University is a compilation of guides, ebooks and detailed articles that share everything you need to know to build and maintain an effective and affordable virtual team. These remote working resources include helpful guides for remote team managers, tools for leading a profitable team, and resources to help remote employees improve their working habits. In addition to the detailed guides in Hubstaff University, our blog also features a growth series that details the challenges and successes of our virtual startup, as we proceed on our growth journey with a fully remote team. Have you already read any of these books? Share your reviews in the comments below, and please let us know if we missed a great book that we should check out!